While it may lack the dash and dazzle of its near neighbour Dubai, visitors looking for something more than glossy malls and designer boutiques should give Sharjah the benefit of the doubt. 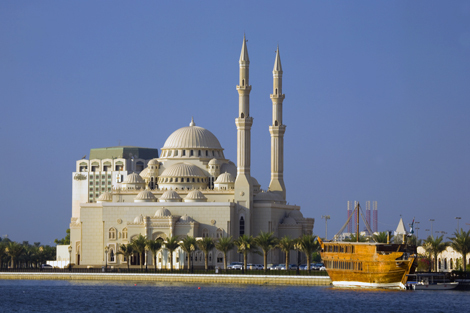 UNESCO named Sharjah the Cultural Capital of the Arab world in 1998 and the Emirate regains the title in 2014. Not only does Sharjah have the most extensive traditional souk and old town in the UAE, it’s also home to some of the most respected museums and galleries in the region and a growing number of international exhibitions and events. 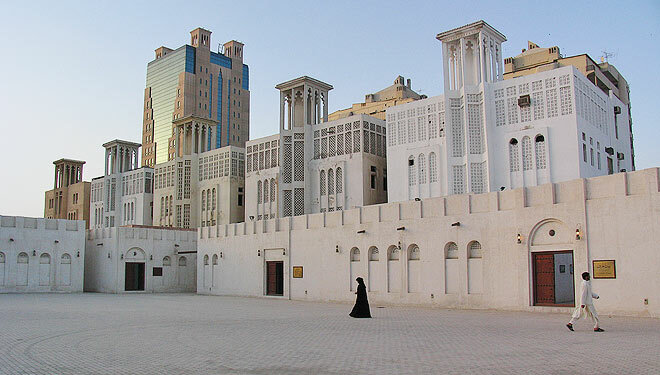 These include the impressive Sharjah Museum of Islamic Civilization, the Arabian Wildlife Centre at the Sharjah Desert Park – where visitors can see indigenous desert species such as the Arabian leopard that have all but disappeared from the wild – and the Sharjah Biennial, one of the most influential contemporary art events in the Middle East. Recent archaeological finds have proved that people have been visiting Sharjah ever since humanity first migrated out of Africa. They were obviously looking for something more than a hedonistic lost weekend. Sharjah’s hotel scene is growing thanks to the many package tourists. Visitors from China and the former Soviet Union now use the emirate as a cost-effective base from which to explore Dubai. Despite its location at the Sharjah airport and the original designation as a business hotel, Rotana’s new Centro Sharjah is proving popular. The hotel has a masculine, contemporary interior with a small but well-equipped gym, outdoor pool, and regular shuttle service to local attractions and Dubai (www.rotana.com; 06 508 8000). A double room costs from Dh225 per night. If you’re looking for a decent beach, try either the Radisson Blu Resort (www.radissonblu.com/resort-sharjah; 06 565 7777), where double rooms start from Dh425 per night, or the Coral Beach Resort (www.coral-international.com; 06 522 9999). A double room here costs from Dh196 per night. The Sharjah Rotana may look a little dated, but it makes up for this with excellent service and a location that is within easy walking distance of the city’s heritage area, museums and galleries (www.rotana.com; 06 563 7777). Classic double rooms cost from as little as Dh166 per night. For a little more opulence, stay at the five-star Corniche Al Buhaira Hotel (www.hilton.com; 06 519 2031) where a double room costs from Dh350. The hotel will be joining the Hilton group at the end of this year. All prices include taxes. For culture vultures, there’s more than a weekend’s “edutainment” to be found in Sharjah’s carefully restored arts and heritage areas and the sites here are all within easy walking distnace of each other. These include the recently rebuilt Al Hosn Fort, home to the ruling Al Qasimi family for 200 years, the atmospheric Souq Al Arsah with its antique shops and beautiful palm-frond roof, the Bait Al Naboodah, a traditional house that used to belong to the pearl-trading Al Shamsi family, and the Bait Al Gharbi. Located opposite the Islamic Museum, the Bait Al Gharbi is a courtyard house with three cooling wind towers and many unique architectural features. It now houses a museum of traditional life featuring furniture, jewellery, ceramics and costumes. The area is also home to the Sharjah Art Museum, the largest art museum in the Gulf, which contains a permanent collection of more than 300 orientalist paintings from the 18th and 19th centuries, and the Sharjah Museum of Islamic Civilization, which has galleries dedicated to the history of Islamic art, history, science, and culture. The Al Gahwa Al Shaabiya cafe (06 572 3788) is a traditional building constructed of coral, sea rocks, and gypsum that now serves as a coffee shop and late night restaurant. The restaurant has an extensive menu of Arabic meals and snacks and is popular with Emiratis who like to gather on the large outdoor terrace. The views of the Buhaira Corniche and Khalid Lagoon are excellent, but if you want to avoid the noise of seemingly constant traffic, make sure to sit inside. Sadaf is an Iranian restaurant that’s popular with local Emirati families and expats alike. It has an atmospheric interior that’s decorated with traditional Persian tiles, private dining booths, and an open tandoor from where the smell of fresh bread fills the restaurant. Among the popular dishes is the traditional Iranian chelo kabab sultani, a veal and minced meat dish served with rice (www.sadaffood.com; 06 5693344). Given that Dubai is so close, coming to Sharjah to shop in a mall rather misses the point, but Sharjah’s Blue Souq still manages to hold its own. Packed with small shops and stalls selling everything from Iranian carpets and Bedouin jewellery, to plastic flowers, electronics and toys, this is a modern mall at its most souq-like. It’s also one of the most popular spots for an evening’s promenade. Sharjah’s traffic is legendary and a journey that might take 20 minutes during the day can take hours in rush hour. Sharjah’s traditional markets and old souq are unlike anything else in the UAE. Genuine antiques and bric-a-brac can be found in the Souq Al Arsah while the cooling colonnades of the vegetable market offer soothing respite from the noise and mayhem beyond. Traders at the traditional date market, behind the bus station, offer shoppers free samples as well as the opportunity to practise haggling, while the small but teeming plant souq has greenery for your house and garden. As the bedding display on one of the city’s many roundabouts says, “Smile, you’re in Sharjah”. I think that what you published made a bunch of sense. But, what about this? suppose you composed a catchier title? a person’s attention? I mean My kind of place – Sharjah | writing to inform is kinda boring. You might peek at Yahoo’s home page and see how they create post headlines to get people to open the links. you’ve written. Just my opinion, it would bring your posts a little bit more interesting.